I love being a mom, it's the most difficult and rewarding job in the world. I love spending my days with Zaden and seeing him grow and develop. It's crazy that six weeks has gone by and that my little guy will be 2 months old here in the next couple of weeks. I have my six week check up this upcoming Wednesday and I'm excited to be able to workout and get myself in shape again. 2013 will be the year I finally get into shape. So cute, those boots are amazing! LOVE this entire outfit. 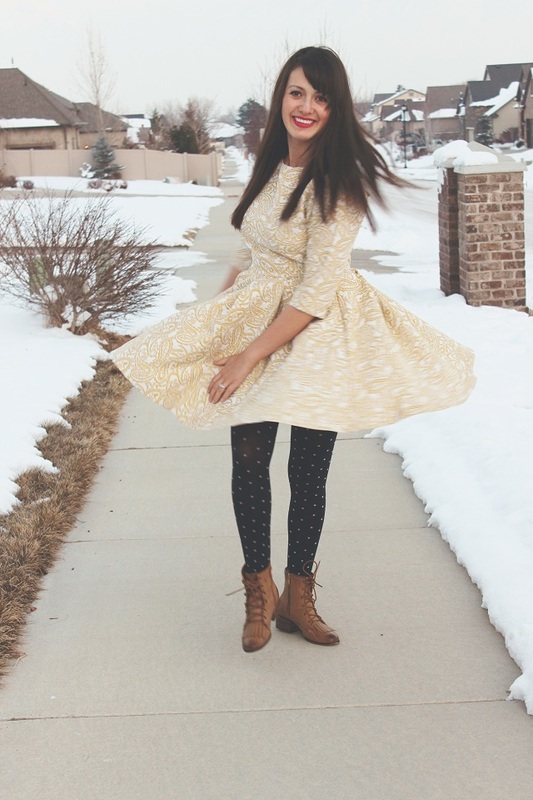 dress, tights & boots. all darling. & i can't wait to see the first of your 52 series! You look absolutely darling. I love your dress. 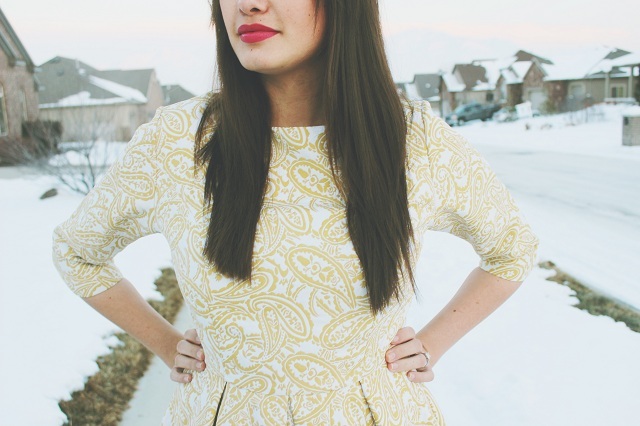 The paisley print is adorable. That's such a lovely dress! Beautiful! Being a mommy is the hardest but most rewarding job there is. Your Zaden is absolutely precious. I can't wait to start working out I think I may start Pilates. I really love this outfit, but really, really love your shoes! I promise that you can't get any cuter. Jealous!! 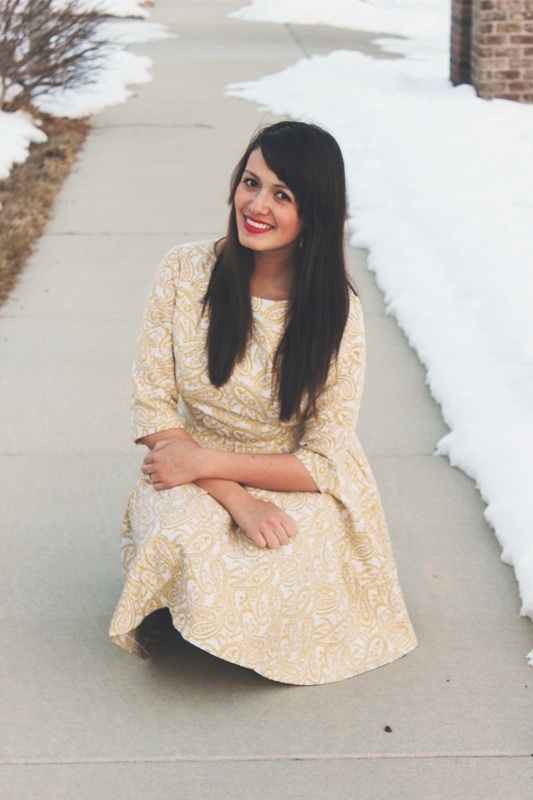 Love the pattern on the dress! gorgeous! 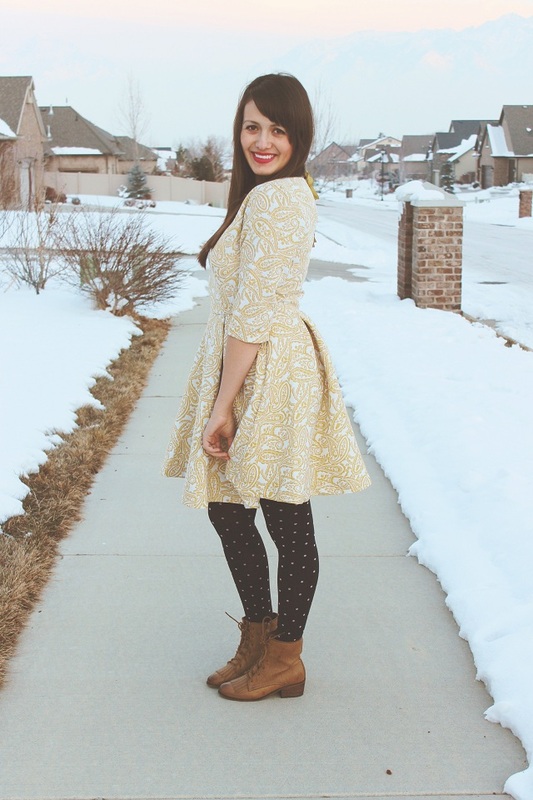 love the prints and textures here and the chilly background! that outfit is absolutely amazing. Totally something I would wear! I love your blog SO much...just sayin!! gorgeous outfit! love the dress. You look so cute! I love these pictures and the sense of movement. 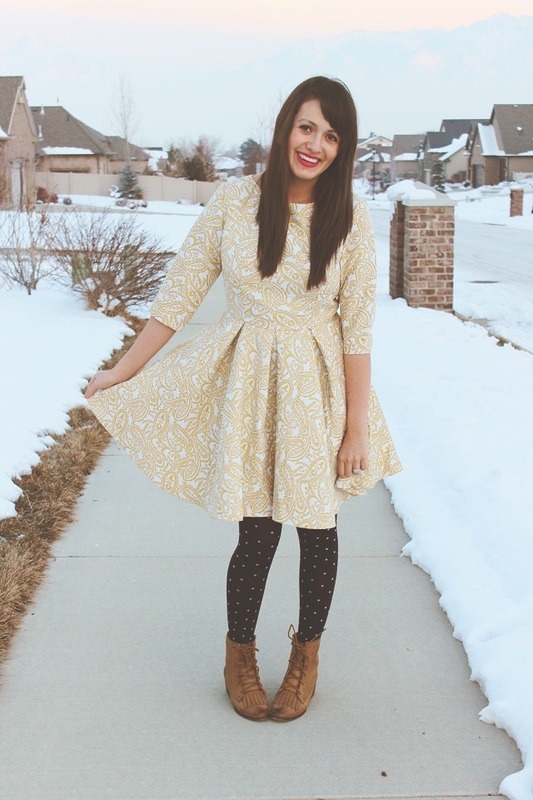 As always, love how you styled the dress with the boots and tights. Funky and fun and so you. I'm going to be honest as a mama I really look forward to dressing up for church too! It's hard to be motivated (especially now that it's cold out) when you are just going to be home or running errands with kids. LOVE those boots! love love love your shoes! The whole outfit is cute! You look beautiful! 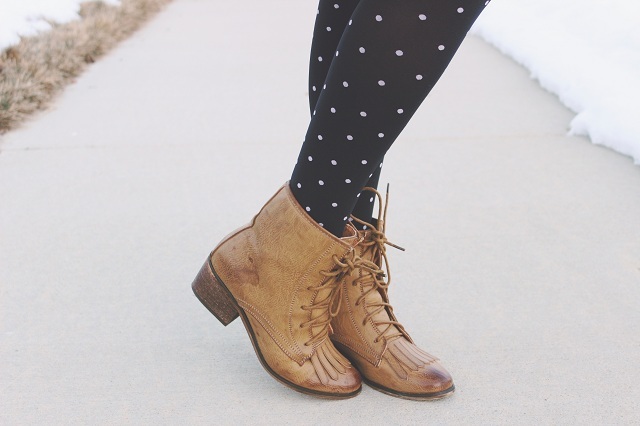 Love the whimsical styling, those boots are wonderful! You look so pretty! 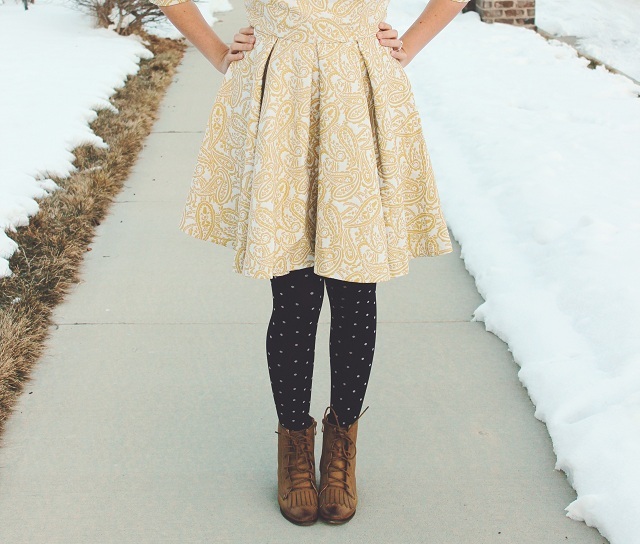 I love the heavy material and vintage feel of the dress and those polka dot tights are darling. I'm resolving to get back in shape too! I'm past the first week now :) here's to both of us! and I'm jealous of the snow..
oh my gosh!! You are so dang cute! I just love this outfit-so classy! Im now following and cannot wait to read more!